Give it a year or two and there will be as many #67s in the stands as #29s. 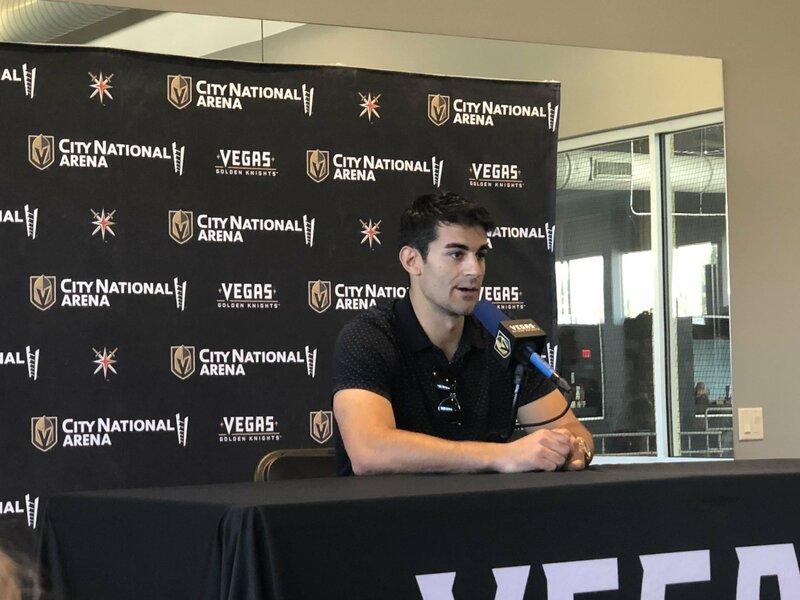 Max Pacioretty met with the media for the first time today, and he could not stop gushing about how much he loves Las Vegas. He’s genuinely really excited to be here, and in time, he’s going to become a fan favorite. How do you not love this guy? Best description of VGK I’ve ever heard. A Pro’s Pro !!! He will be a Big asset to the community,plus he’s a hell of a hockey player . He’s a class act. He’s so excited & eager to get started, and he’s talking up how great our facilities and city are. This can only help us convince great players in the future to come join us! He’s pretty much the complete opposite of Shippy (I almost put t’s in place of the p’s LOL). As a born and raised Bruins fan, I never liked the guy. He is a hell of a player but I never liked him. I am not going to lie, it will be an adjustment cheering for him. But I am going to give him a chance. I like how happy and eager he seems to be in here, that goes a long way in my book.